In the last couple of years, the e-cig culture has grown rapidly. Electronic cigarettes now come in many different forms to cater to the numerous preferences of different vapers. You’ve probably heard of features like atomizers, cartomizers, and clearomizers on electronic cigarette models. What exactly is the difference between these types of components? Which is the best for you? 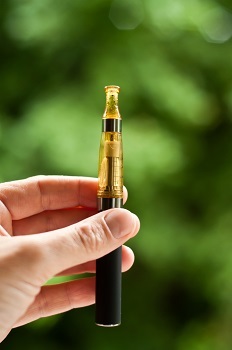 An atomizer is the component in the e-cig that heats the e-liquid. An atomizer generally has both a heating element and a wicking substance that wicks the liquid from a connecting cartridge so it can be vaporized and smoked. Atomizers are typically cost a little more, but they last much longer than cartomizers. Atomizers can be cleaned more easily as well. The components are reusable as long as you are willing to provide regular maintenance. Atomizers provide better vapor production and flavor than cartomizers, so experienced vapers usually prefer to use atomizers for their electronic cigarette setup. They also provide a more customized vaping experience. The modern day cartomizer is a sort of prebuilt RDA with filler material. The resulting component is attachable to a battery for easy vaping. Some cartomizers are refillable and can be used until they burn out. They don’t last as long as a separate atomizer, and they don’t provide the kind of rich and customizable vape that an atomizer provides, but they are great for beginners who are new to vaping due to their ease of use and convenience. Clearomizers feature a clear cartridge through which you can see the liquid. Clearomizers come in various forms. Many models feature replaceable heads, making them reusable and refillable, as opposed to cartomizers. Clearomizers typically have a good sized tank capacity and use the replacement coil heads to wick and heat the e-liquid to produce the vapor. Clearomizers are a step up from cartomizers: they have some customizability and can be refilled, but they require a little more maintenance than a cartomizer. There are plenty of high quality clearomizer models for your e-cig out there. These e-cigarettes are very stylish and look great when you’re vaping. Whether you are looking for atomizers, cartomizers, or clearomizers, EV Cigarettes has them all. Try each model and see what style you like. We stock over 250 e-liquid flavors and we carry the highest quality electronic cigarette models, components, and accessories you can find. Are you just getting into vaping, or are you an experienced vaper looking for a customizable e-cig? We have something for everyone, so check out our selection today!